The CW has released an official description for the Season 2 finale of The Flash. The episode is called “The Race of His Life” and here’s how they describe it…. not a lot of spoilers here! Look for the episode on May 24. 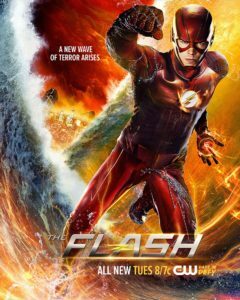 THE FLASH VS. ZOOM – After Zoom (guest star Teddy Sears) reveals his true plan, Barry (Grant Gustin) vows to do whatever it takes to stop him. Antonio Negret directed the episode written by Aaron Helbing & Todd Helbing (#f223). Original airdate 5/24/2016. Browse FlashTVNews for more Flash spoilers!